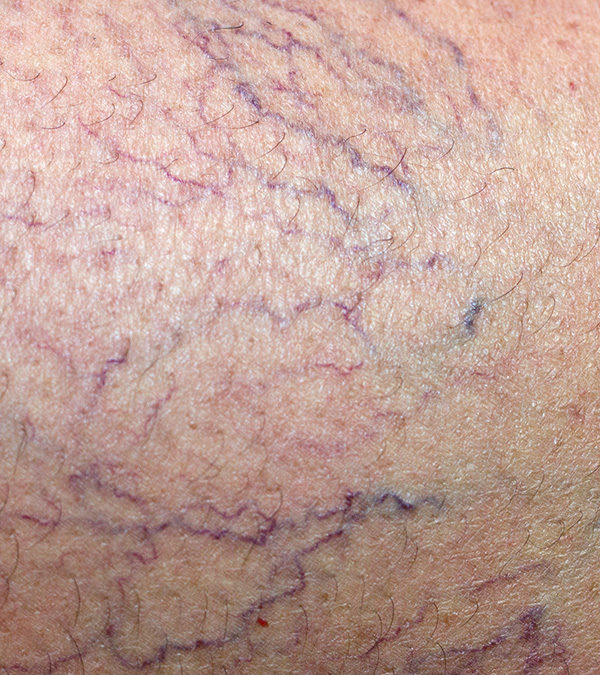 Spider Veins: Cosmetic or Problematic? Spider veins are those tiny red, blue, or purple veins that often appear on our legs and ankles as we age. In most cases, spider veins are a cosmetic issue that is easily treated with sclerotherapy. However, it is important, especially if they cause aching, heavy, or itching legs, to determine if they are a result of an underlying problem within the deep veins of the leg. When veins within the deep system do not function properly, blood is not pumped back to the heart efficiently. This causes blood to pool in the veins, and over time, they begin to bulge, or varicose. Frequently, varicose veins are easily seen on the surface of the leg, but not always, and prominent spider veins appearing on the legs may be the indicator of an underlying problem. To determine if there is a problem in the deep system, ultrasound technology is used to make the diagnosis.